I believe that the words from the title of this post perfectly summarize our Open Educational Resources (OER) Boot Camp this past January. The Boot Camp was part of the Open Pedagogy Fellowship, which was an incredible teaching and learning opportunity for many of us, as graduate students, librarians, and faculty came together (and what a great amount of combined knowledge!). This synopsis will provide an overview of the different sessions and their speakers, along with the key concepts covered during those workshops. Recognizing this opportunity for its uniqueness, I would like to highlight the interdisciplinary nature of the space itself: students from a range of disciplines such as Psychology (Educational and Critical Social/Personality), English, History, Earth and Environmental Sciences, Comparative Literature, Cultural Anthropology, Classics, Social Welfare, and Spanish Linguistics came together to learn, discuss, and share Open Pedagogy practices. This inclusive and interdisciplinary student cohort, along with the conversations and workshops exemplifies the critical potential of open pedagogy. We had the privilege to meet scholars in the field, and actively participate in conversations about open digital pedagogy practices within CUNY. The Boot Camp was an intensive, productive experience, and incorporated a wide variety of topics, ranging from the theoretical to the more practical elements of building a course site on the CUNY Academic Commons. We not only had the chance to meet and talk with Polly Thistlethwaite, Chief Librarian, but learned a bit about her personal history and experience as an activist, and how it is connected to her research (reviewed in a previous post by Jaime Shearn Coan). Next, with Elvis Bakaitis and Jill Cirasella, getting our feet wet, we had the opportunity to question the meaning of the term “open.” Both of them introduced key concepts and terminology, including application of Creative Commons licenses. 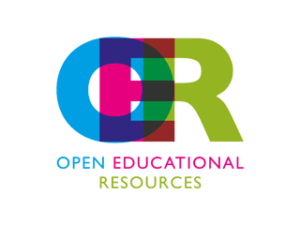 We also became familiar with, and took the time to examine diverse repositories in order to search for existing Open Education Resources (OER) and Open Access (OA) materials in our disciplines. Furthermore, we got to know the multiple resources available to us and the projects currently underway with the CUNY system. Andrew McKinney, OER Coordinator, was the one who highlighted the different projects and initiatives being carried out by faculty at different CUNY campuses. In addition, Donna Davey, Adjunct Reference Librarian, brought an archival perspective by sharing with us the multiple platforms available and digital archival materials that we might integrate with our teaching and learning practices. From archives to images, Katherine Pradt, Adjunct Digital Outreach Librarian, introduced us to different sites where we can find openly-licensed visual material and images (summarized by Elizabeth Che). From the standpoint of critical pedagogy, Shawn(ta) Smith-Cruz, Head of Reference, led a conversation about deconstructing the most traditional concept of the syllabus. Her presentation was framed with a text by Cleila O. Rodríguez, “The #Shithole Syllabus: UnDoing Hi(Story),” published in Radical Teacher, who will be the Keynote Speaker at the upcoming Open Pedagogy Symposium in May. 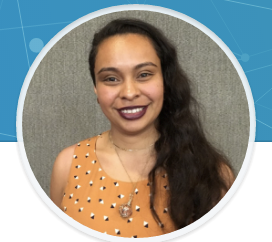 Jean Amaral, the Open Knowledge librarian at BMCC, provided an inspiring presentation on how OER could promote Open Pedagogy , and reviewed on the Graduate Center Library Blog by Jacob Aplaca. We also had a valuable discussion about Critical Pedagogy with Emily Drabinski. Last but not least, since they worked with us in multiple instances during the Boot Camp, and coming from a hands-on perspective, Krystina Michael and Laurie Hurson, Open Educational Technologists, assisted us with building our courses on CUNY Academic Commons. With this brief overview of the Boot Camp, I would like to take this opportunity to emphasize the urgency for these pedagogical conversations, as well as for these types of creative and innovative spaces, including collaboration among students from diverse disciplines, faculty and librarians. The use of OER and Zero Textbook Cost (ZTC) materials goes beyond affordability – and in fact, the cost-saving factor may be seen as the tip of the iceberg, in terms of pedagogical potential. The use of OER and ZTC materials must question traditional approaches that foresee students as knowledge consumers, and facilitate new and creative teaching strategies to encourage learning and teaching environments that promote inquiry. Innovative work in this field will center around collaboration and transparency, support student-driven approaches and conceive of students as knowledge creators. In this spirit, I would like to conclude by sharing the culmination of an initiative I had the opportunity to be part of, led by The Teaching and Learning Center, along with the Digital Initiatives and the Graduate Center Library: Building Open Infrastructure at CUNY, a project that reflects upon work at The Graduate Center over the past year. 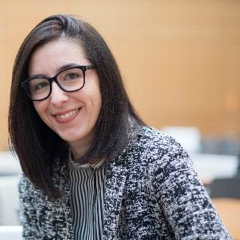 Inés Vañó García is a doctoral candidate in Hispanic Linguistics (Latin American, Iberian and Latino Cultures) at The Graduate Center. Her Spanish sociolinguistics approach adopts a critical perspective which addresses the relationship between language and politics. More specifically, this approach to sociolinguistics delves into how language representations, linguistic and social practices are inscribed within unequal social hierarchies of power. Her research focuses on the professionalization of the teaching of Spanish in the United States during the 20th century. Currently, Inés is a Mellon CUNY Humanities Alliance Graduate Teacher Fellow at LaGuardia. When teaching a course that would not traditionally rely on a textbook, the prospect of creating a syllabus populated exclusively by Open Educational Resources can initially feel overwhelming. My syllabi are typically populated by book chapters, journal articles and media articles. In my own experience, once I got past that initial feeling of being overwhelmed, I realized that moving towards a total reliance on OER was an opportunity for creativity and a more engaging classroom experience for students. I further realized that using OER provided me with an opportunity to better incorporate my criticisms of the current university model into my teaching. I teach in Urban Studies – a field that is transdisciplinary. Because of this, initial searches for OER resources under the banner of urban studies came up dry. So, I examined my old syllabus and made a list of the disciplines from which I had drawn resources the last time around. Broadening my scope to other disciplines with urban focused sub-fields helped me to find more openly available academic resources. As someone passionate about my field of study, I was (and am) attached to many of the texts that I had chosen to populate my syllabi in the past. Here, I determined which scholars’ voices I was determined to continue to include in my syllabus. Some digging helped me find resources of theirs that were openly available, or instances in which a given chapter of their book had been converted into a blog post of sorts that was openly available online. In one instance, I was surprised and delighted to find that a scholar I had assigned students in the past had a blog which he had published with a Creative Commons license. The publicly available blog posts were actually a better fit for my 100-level course than his academic work in that they explained the complicated workings of municipal finance in more accessible terms. In other instances, in which I couldn’t find an openly licensed version of a given scholar’s work, I used videos of their lectures available on YouTube in which they communicated the ideas I wanted my students to grapple with. Moving towards an entirely open syllabus has pushed the parameters of what I have typically included on a syllabus. As mentioned, blogs offer a wealth of information, often in a more concise and accessible format. Having students read materials publicly available on blogs also provided me with an opportunity to include voices in my syllabus that might not have been included before. Elsewhere, I searched for interviews with academics and activists so I could include ideas that might not otherwise be available in openly-licensed materials. In another instance, I included an openly available short story that deals with gentrification. I found that it was actually better able to capture what the stakes are of gentrification than many academic works on the topic. Finally, I have included online databases and resources for students to explore – an example is the NYC LGBT Historic Sites Project. To conclude, once I got past the initial feeling of being overwhelmed, I came to realize that more than anything, moving towards an open syllabus presented an opportunity to be creative, to better engage students in the classroom and to better put my principles into practice. Sophie O’Manique is a PhD Student in Earth and Environmental Sciences (Geography Stream). Her research is focused on the implications of affordable housing policy for social reproduction in New York City and Toronto. She also teaches in the Urban Studies department at Queens College. Images are wonderful for illustrating points and adding excitement to your otherwise plain presentation, but you may be worried about infringing copyright. Through the Open Pedagogy Fellowship, we created sites on the CUNY Academic Commons that relied on openly-licensed materials (intended for sharing, remixing, and re-use). This adds a new consideration to the quest for images: are they restricted by copyright, or freely available through a Creative Commons license? Sourcing openly-licensed images may not be as difficult as it seems. During the Open Educational Resources Bootcamp, Katherine Pradt, Adjunct Reference and Digital Outreach Librarian, presented an overview of the topic. When looking for images, we are mostly seeking openly-licensed content, or materials from the public domain. Increasingly, image search engines are including the capability to filter by Creative Commons license. Some subjects may be more difficult to find (e.g., science related charts and diagrams). This is sometimes reflected in the lack of figures in science-based courses or texts that are released as Open Educational Resources (OER). Google Images provides a filter to search for openly-licensed images. After entering an initial search term, click on “tools”, select a filter (e.g., labeled for noncommercial reuse), and do a new search using the Creative Commons image filters. It may be good to check the original source as well, to make sure the image didn’t slip through Google’s filter. Flickr also offers a Creative Commons filter of their user uploads. After ente ring a search term, you can change the type of license by clicking on the dropdown menu (e.g., from “Any license” to “All Creative Commons”). Pixelbay, Unsplash, and Wikimedia Commons aggregate openly-licensed photos from users and the global community of photographers. Other sources of images may come from government sources or non-profit organizations, such as WorldImages, which provides access to the California State University IMAGE Project. These are available for non-commercial use and modification with attribution, under a CC BY NC license. The New York Public Library Digital Collections contains over 837,000 primary sources and rare items (e.g., historical maps, vintage posters, prints, and photographs) from NYPL and private collections. Be sure to check the Rights Statement that accompanies each item, to see if it fits the parameters of your intended use. If you found a suitable image, you can now add it to your course site and include its attribution. Elvis Bakaitis, Adjunct Reference Librarian shared the Open Attribution Builder with us during the OER Bootcamp, which generates a text and html-formatted attribution that you can copy and paste into your own course site, or anywhere else you need to attribute. Attributions can be included underneath the image, at the bottom of the page where the image appears, or on an entirely separate references page for all the sources that were used. You can also include a thumbnail of the image next to its attribution, if you prefer. 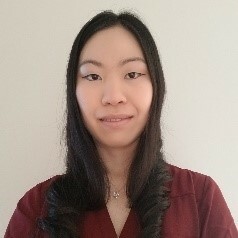 Elizabeth Che is a doctoral student in the Educational Psychology Program at the Graduate Center, CUNY. Elizabeth’s research interests relate to the broad areas of language development, development of effective pedagogy, and the incorporation of technology in the classroom. She is also involved in efforts to evaluate the impact of teaching with Wikipedia in Introductory Psychology, by having students contribute to biographies of distinguished scientists as part of the WikiProject: PSYCH+Feminism. I’m currently teaching New York City History in two different classes; one an online class at Lehman College and one a weekly honors class at Baruch. While I’ve taught New York City History in the past, the Open Pedagogy Fellowship at the Graduate Center this past January has equipped me with new strategies to make the course more accessible. Like many, I only had a vague sense of what was “open” about Open Pedagogy before I started the Fellowship. I assumed it was equivalent to free or low-cost, and that the ability to share sources for free was the main aspect of this approach. Something that became clear over the course of the Fellowship is that this openness in resources also supports an openness in teaching and the research process. In a course like mine that has no single textbook, the professor acts as a curator of readings and primary sources: Open Educational Resources (OER) invite the students into that process and sets them up to undertake their own research more critically and effectively. When it comes to using archival resources, open pedagogy provides an openness in terms of supplying material for students to examine but also is open in terms of promoting transparency in how the course itself is planned. Donna Davey came to our training and offered us some pointers for how to use archival resources as an OER tool. There are currently thirty-seven primary source databases available through the Graduate Center Library, though these are zero cost but not openly-licensed. 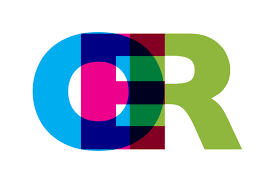 Donna noted that there is still a value to using the Graduate Center Library resources, and that depending on your pedagogical needs, OER can be a strategy employed periodically throughout the class rather than a totalizing philosophy. That being said, she also demonstrated searches through a number of interesting digital archives–the ones that I have employed in my course include DPLA, Internet Archive, The New York Public Library, and the New York City Municipal Archives. I have found the OER archival approach to be especially useful in framing my class sessions more interactively. 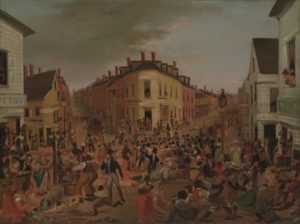 To give one example, I began a day about Five Points by inviting the class to engage in a visual inquiry exercise using an 1827 painting of Five Points. I asked them simply, “What do you see?” and sometimes followed up their inferences and observations with “What do you see that makes you say that?” On that basis most students offered at least one observation, and we were able to tease out numerous themes that we explored further through the readings. These included the built environment’s significance in shaping Five Points, the painter’s bias in depicting the residents, and the impact of a growing visual culture in perpetuating fascination and hostility toward this neighborhood. This material primed students for critical inquiry into the written sources for that day, including open-access primary sources through CUNY’s own American Social History Project/Center for Media Learning. Additionally, as a follow up activity for that class I was able to enjoin students to find other visual representations of Five Points using DPLA, the New-York Historical Society, and The New York Public Library, and place the image they had found in dialogue with the original image we looked at. This was also good practice for the research project on a topic of their own choosing that they will complete later in the semester. This particular class session is just one example of how open archival materials helped promote a student-centered, focused, critical class session and worked in concert with material from previous semesters. For me, OER has been a useful seasoning for a class that I’ve taught before, and I can envision incrementally changing it over to be a completely open course in the future. Katie Uva is an ABD student in the History Department at the Graduate Center, where her dissertation focuses on New York’s two world’s fairs and their relationship to midcentury urbanism. 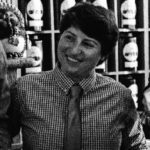 She has worked at Governors Island National Monument, The Lower East Side Tenement Museum, and The Museum of the City of New York, and is currently teaching at Lehman and Baruch. 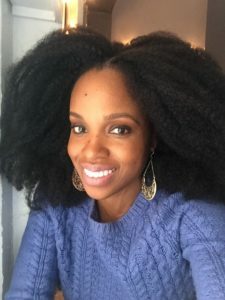 She is also a founding member of the Public History Collective and the Peer Mentoring Program, and currently serves as Coordinator at the Gotham Center for New York City History. As part of the Open Educational Resources (OER) bootcamp, I had the pleasure to talk with and participate in a workshop led by Emily Drabinski, co-editor of the acclaimed Library Juice Press publication, Critical Library Instruction: Theories and Methods. This discussion touched on three subjects: what defines critical pedagogy, the connection between critical pedagogy and OER, and strategies for implementing this approach in the classroom. One section of a required course that I teach at Brooklyn College is offered only to Education majors. Each semester I ask the students of this section to define the term pedagogy. More often than not these Education majors and budding elementary and secondary school teachers cannot define pedagogy! Pedagogy is the theory and practice of teaching. Some instructors prefer lecture-heavy classrooms with pre-determined syllabi and little to no student input; others prefer discussion-based classes with flexible syllabi and lots of student input. Whether or not instructors are actively identifying their pedagogical practices, these practices are being enacted and affecting the classroom, which brings me to critical pedagogy. Transparency and the metaconversation – Educators must be transparent with learners on the Why versus the What of an assignment. Rather than focus on what a learner must write in a paper, for example, it is important for the educator to imbue the importance of why the learner should be completing the assignment and how completion will contribute to a larger conversation. Valuing the student knowledge base & including diverse curriculum/voices – Students are not empty vessels, but often have their subject knowledge on various topics. In learning how to be bearers of their knowledge, they need not be inundated with texts/learning materials that are only authored by heterosexual, middle-class, cisgendered, white men. Curriculum diversity means including authors from various intersecting subject identities, from marginal communities and experiences. “Yes, and” approach – I got this from social justice organizing. Rather than teach with a “no, but-” approach which fosters singular answers and feeds into a right/wrong dichotomy, “yes, and” acknowledges multiple perspectives and rewards various ways of thinking allowing for the complexity and contradiction of everyday life to exist and be valid. Challenge dominant narratives/subjectivity – See above where I mention diverse curriculum/voices. 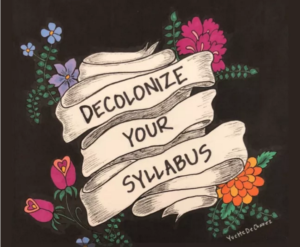 Also, check out this short list on decolonizing the classroom. Historicizing/contextualizing/articulating material conditions – This is so essential when teaching in a place like CUNY. Students at CUNY are often affected by their material conditions as workers, immigrants, people living in hyper-policed neighborhoods, poor and working-class students, English language learners, and first-generation college students. Teaching questions, not answers – Learning often occurs in how we can ask questions and when we get our students to ask questions rather than regurgitate answers: we are teaching them to think critically. Then, they can ask their peers questions, inside and outside of the classroom. Critical pedagogy changes depending on the context. This is probably the most important takeaway. Critical pedagogy should be thought of as an active verb rather than a fixed object or noun. Instructing with critical pedagogy in mind while making use of open educational resources are deeply connected practices, but they are not synonymous with each other. The openness of OER most often refers to the cost for students in accessing materials. Since OERs often use web resources and technologies, they may contribute to students developing healthy relationships with technology, and simultaneously encouraging them to share their work. One example is encouraging students to create content via social media rather than expecting them to act solely as consumers of educational content. Practices like this can transform student interactions with technology. A critical pedagogical practice can also encourage the “open” of OER to be more expansive beyond financial considerations. Are resources available in multiple languages? Is the vocabulary accessible? Can it be used with a screen reader? Are there subtitles? Both critical pedagogy and OER encourage flexibility and inclusivity with different learning styles. What are Some Strategies Instructors Can Implement in the Classroom? This list is by no means exhaustive of all the strategies that exist but responds to the malleable nature of critical pedagogy. There are a multitude of methods that broaden learning and reduce power differentials in the classroom. Additionally, I was able to chat with Emily for a couple of minutes after the workshop about the particularities of being an adjunct while also remaining committed to a strategy of liberated pedagogies. When I asked her about institutional or departmental pushback to critical pedagogy, the example of syllabi requirements and learning objectives was brought up. How does the fact of departmental guidelines impact power within classrooms taught by adjuncts? An adjunct does not get compensated for suggesting improvements to syllabi and course requirements. This is just one complication many adjuncts face, and as Emily stated, “How can you change the department when so much of its work is dependent on contingent labor?” The conversation about labor and OER is still developing, but Critical Pedagogy provides some guidance in opening existing models to potential changes. Talisa Feliciano is a doctoral candidate in Cultural Anthropology at the Graduate Center, CUNY. She is currently an adjunct lecturer in the Department of Anthropology and Archaeology at Brooklyn College. She has previously taught at Hunter College and the City College of New York. Her dissertation entitled, “Dancing in the Heart of the Empire: Youth Subway Performers in New York City” explores subway dancers and the politics of public space in New York. This is what I tend to say when asked about what makes getting a PhD at The Graduate Center so unique and so valuable an experience. This is, of course, a deceptively simple reply. Yes, “teaching matters at CUNY,” just as it does at a number of other institutions across the country. But here teaching matters in relation to a number of specific factors: our history of open admissions, our status as public university system in one of the world’s most diverse cities, and the material constraints that contextualize everything we do as instructors in this institution today. And then there is also my own personal attachment. I love teaching, I love my discipline (English), and my time spent at the front of the classroom has been a welcomed reprieve from the more isolating aspects of doctoral study. In light of the central place teaching holds in my life and the lives of my colleagues, I found Jean Amaral’s exploration of “open pedagogy” during the Open Pedagogy Fellowship Boot Camp in January a gratifying and enlightening experience. Open pedagogy has been defined in a number of ways. For some, Open Pedagogy begins with Open Educational Resources (OER), which are “free and openly licensed educational materials that can be used for teaching, learning, research, and other purposes.” While this is certainly important, especially at a public university where students often do not have much money to spend on expensive textbooks, Jean pointed out that this was only a small part of a larger picture. Open Pedagogy really starts with praxis, asking instructors to consider how “theories about learning, teaching, technology, and social justice enter into a conversation with each other and inform the development of educational practices and structures.” In doing so, instructors will hopefully develop courses and learning materials that prioritize accessibility, broadly defined. This means not only incorporating zero-cost and OER materials accessible to both able-bodied and differently-abled students, but also creating new, openly-licensed learning materials that can be easily shared. Open Pedagogy also entails rethinking the classroom, moving away from a teacher-centered learning environment to one that is not simply student-centered, but learner-driven. 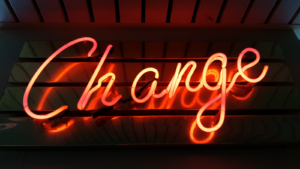 It is one thing to say that we have “flipped” our classrooms; it is quite another thing to actually build into our syllabi that kind of flexibility and openness necessary for students to make meaningful modifications to the shape and content of our courses. Furthermore, rethinking the classroom requires that we look beyond it, making the materials, assignments, and (with their permission) student work generated therein objects of public knowledge, able to contribute to the pedagogy and learning of those both within and outside of the CUNY system. This sort of openness means first rejecting learning management systems (LMS) like Blackboard, and migrating course assignments and openly-licensed learning materials to an open platform like the CUNY Academic Commons. It also means rejecting a pervasive culture of isolation and secrecy in the development, teaching, and evaluation of our courses. Overall, sounds pretty easy, right? Not necessarily. As part of the Open Pedagogy Fellowship, I have been tasked with incorporating these practices and materials into my own teaching. In doing so, I have been astounded by how many of my own pedagogical habits of mind run up against many features of Open Pedagogy. For example, it has been hard for me to give up my sense of total control in the classroom. And, being the worrier that I am, the idea of making my pedagogical resources and teaching strategies available online has produced no small amount of anxiety in my life. However, there has also been a remarkable upside. While it has not been long—and I must admit that my class is not yet fully “open”—there has already been a shift. Having committed myself to a model of learner-driven discussion and afforded my students the necessary agency to interrogate my course content and make real adjustments, I have noticed in my students a level of investment in their learning I have never seen before. What is more, I have noticed in my students an investment in one another. During class discussion, students are no longer just talking to me as if the opinion of the instructor is the only one that matters. So even though I still have work to do, I am proud of the openness of my course thus far. Again and again, my students are demonstrating their willingness to rise to the occasion. I also believe in the zero-cost and open-access materials I have incorporated and developed for my class. They are available, and I hope people use them. And, finally, I hope my experiences encourage other instructors to contribute to the project of Open Pedagogy at CUNY and beyond. 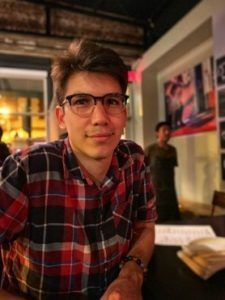 Jacob Aplaca is a third-year PhD student in the English program at the GC and a teaching fellow at Hunter College. His current research focuses on figurations of queer loss and melancholia in 20th and 21st-century literatures. In his spare time, he indulges in writing bad poetry, some of which can be found in PANK Magazine and Yes Poetry, and complains about adjunct life on McSweeney’s Internet Tendency. In her influential 1991 essay, “Theorizing Deviant Historiography,” scholar Jennifer Terry wrote: “the new archivist is on the street, in the thick of things, occupying a mobile subject position” (286). For some, this image may feel incongruous. For others however, the conjuncture of activism and archives is a familiar and necessary one. 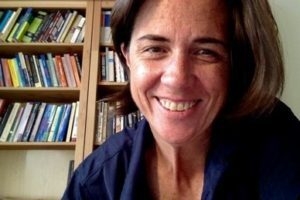 Polly Thistlethwaite, the Chief Librarian at The Graduate Center, an ACT UP alumni, and a fierce advocate of open access, fully embodies Terry’s ideal. On January 10, 2019, the first day of Open Educational Resources (OER) Bootcamp, Thistlethwaite delivered a talk, complete with personal photos, titled, “How We Got to Open Access: An Activist’s Tale.” Right away, she made clear that origin narratives are contradictory and often dangerous, and offered up her version within the context of more dominant takes on how OA has come to be what it is today. In 1986, Thistlethwaite held the dual positions of being librarian at an academic institution and a member of ACT UP. Access to medical information published by journals that could only be accessed by institutions with subscriptions was being sought by activists and PLWA’s [People Living with AIDS] in order to save their own and others’ lives. It was at this time that Thistlethwaite saw clearly that “access to medical, government, and scholarly communication is a human right.” At that time, the latest medical studies could only be accessed in terminals at the library; the consequent emergence of electronic resources, she explained, although seemingly a step in the right direction, did not actually increase access for those unaffiliated with academic institutions due to the prohibitive costs of subscription fees and paywalls. 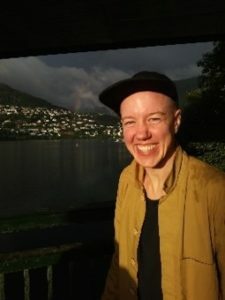 Although much of my own work takes place at the intersection of AIDS, archives, activism, and performance, Thistlethwaite’s presentation helped me to comprehend the stakes at play– historically and presently–when it comes to advocating for open access. Now that I have more awareness of the political thrulines of this work, I feel committed to working towards making my own scholarship and teaching materials public, and to seeking out opportunities for exchange, advocacy, and skill-building over the course of my academic career. This semester, with guidance from the amazing librarians and technicians who led the OER Bootcamp, I have built a modest course site for my “Writing About Performance” class at Queens College. It’s not quite OER yet, as many of my readings are copyright-protected, and therefore password-protected, but it does allow for an unfolding of the course to take place in the public sphere in real time. The syllabus and course schedule are posted, students post blog entries every week, and I have invited two students a week to post “reviews” of the class so that a sense of the class as an event can be accessed by anyone. I haven’t talked about ACT UP with my students (yet), or about contemporary social justice movements, but I hope that the course’s content and form not only reflects, but also produces, resistant and visionary modes of knowledge. Even if the initiating factors of the practices we carry with us aren’t always visible, they are doing work that we can’t yet measure, here in “the thick of things” which is our now. “Bibliography: Women, AIDS, & Activism,” (1990). By Polly Thistlethwaite, CUNY Graduate Center. Via CUNY Academic Works. Full book available on HathiTrust. Accessed Feb 28, 2019. “Jaime Shearn Coan in conversation with Mariana Valencia,” Critical Correspondence, September 23, 2016. “Crucial Circulations: VHS and Queer AIDS Archives,” The Center for the Humanities Blog, August 10, 2018. Jaime Shearn Coan is a writer and PhD candidate in English at The Graduate Center, CUNY, and a Digital Publics Fellow at The Center for the Humanities. His critical writing on performance has appeared in publications including TDR: The Drama Review, Critical Correspondence, Drain Magazine, The Brooklyn Rail, Bodies of Evidence, and Women & Performance. He is the co-editor of the 2016 Danspace Project Platform catalogue: Lost and Found: Dance, New York, HIV/AIDS, Then and Now. Over the last decade, student enrollment at City University of New York (CUNY) has significantly increased. As the largest urban university in the United States, CUNY enrolls more than 500,000 (degree and non-degree) students each year across its 25 campuses. CUNY employs a significant number of first-time and repeat adjuncts to teach undergraduate and graduate courses in various disciplines. Many of these adjuncts are PhD students from the CUNY Graduate Center. Several adjuncts who are teaching across CUNY campuses are balancing their own doctoral course load, working full-time or part-time positions off campus, and navigating college level teaching positions for the first time. New adjuncts may struggle and face barriers as they balance multiple demands from teaching students while being a student themselves. That said, research indicates students taught by adjunct faculty report greater engagement in coursework, learn more in introductory courses, and are more inclined to take additional advanced courses after instruction from an adjunct, regardless of the subject (Figlio, Schapiro, & Soter, 2015). This finding is not particularly surprising, since many adjuncts work hard to ensure that students enrolled in their class have the best possible learning experience. This is a good thing. After all, given that adjunct faculty teach greater than three-quarters of college courses, they have considerable influence over the learning environments and outcomes of students. Many adjuncts employ creative methods to keep students engaged with critical pedagogy and the use of Open Educational Resources (OER). Each semester, students enrolled in my class at Brooklyn College are shocked and happy to discover that there is no assigned textbook. This doesn’t mean there are no assigned readings. Rather, students are provided with resources from peer-reviewed journals, TEDTalks, news articles, documentaries, and many other resources that can offer the same ideas that are found in an over-priced textbook. For example, during our class discussion about great public health achievements, I show students images from the 1950s of medical doctors endorsing cigarettes, and ask students to reflect on the process that needed to occur for there to be a recognition that tobacco use is a health hazard. Often times, students share their ideas with each other through group discussions and think-pair-share activities. Some of my peers, who are also adjuncts and PhD students, have shared their experiences with letting students design parts of the syllabus, having students develop the final exam or encouraging students to use their smartphones and laptops during the class. Certainly, all of these methods don’t work for all subjects. When done right, many of these methods require extensive preparation and planning for the adjunct. Further, considering that some colleges staff adjuncts at the last minute (days before a class is slated to start) or the fact that many adjuncts are teaching more than one course at multiple CUNY colleges, doing the research to incorporate OER materials or utilizing critical pedagogy can be a struggle. This can cause adjuncts to feel burned out. While doctoral students from the CUNY Graduate Center have access to the Teaching and Learning Center, many adjuncts require additional support and guidance from the academic departments of the schools where they instruct. As previously stated, new adjuncts may struggle and face barriers as they balance multiple demands from teaching students while being a student themselves. 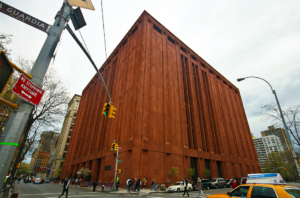 This may result in feelings of dissatisfaction with their teaching position, which may translate to the classroom and learning experiences of their undergraduate and graduate students who attend CUNY. 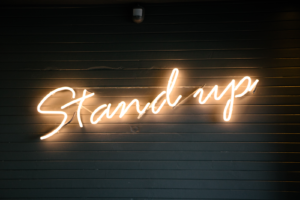 It is of critical importance that adjuncts receive the support and encouragement to use OER materials and critical pedagogies in the classroom, but they must also have the support and courage for self-care outside of the classroom. This is no easy balance. Figlio, D. N., Schapiro, M. O., & Soter, K. B. (2015). Are tenure track professors better teachers?. Review of Economics and Statistics, 97(4), 715-724. This spring will be my second semester teaching “Tyranny, Democracy, and Empire,” at Brooklyn College. The course introduces students to both ancient and modern texts that examine human rights and political participation, and the selection of readings includes excerpts from Homer, Sophocles, Hobbes, Locke, and Mill. After finishing the course last semester, I felt students had an understanding of the main points of the respective works but I felt there was a gap between what I thought the students took away from the texts, and what they actually took away from the texts. Looking for ways to make the texts more accessible, I applied to the Library’s Open Pedagogy Fellowship program. When I told one of my advisors that I was taking a course in ‘open pedagogy,’ she asked, “What is that?” Her confusion about the openness of resources is understandable. The teaching of Classics and the idea of open anything is marred by a long history of exclusivity. Going back to 92 BCE when the Roman quaestors closed a school that offered training in rhetoric for students with no knowledge of Greek, access to the Greek and Roman authors has been linked to privilege. Restricting access is at odds with the themes and issues explored in the early texts of Greece and Rome. For instance, Sophocles’s Oedipus Rex has continued to enjoy universal appeal. Going back to the initial production of the play, it was originally performed in Athens as part of an annual festival which all citizens were expected to attend. Theater in ancient Athens served as a common platform where the citizen and the occasional non-citizen would engage in the important questions of their day. The theater provided both a stage and a forum where performance and participation mingled side by side. Like the theater in Athens, I am hoping that my students can use the course website as if it was their version of the Athenian theater. My hope is that interacting on the website will yield more engaged participation in the political environment that goes beyond the confines of the classroom. In an article that appeared in The Guardian, Edith Hall, professor of Classics at King’s College, argues for the relevance of reading texts such as the Iliad or Oedipus Rex in an era in which more and more students enroll in math and science courses. Hall’s argument for expanded access to Classics rests on her belief that the Greeks were unique in their ability to form questions based on their experience. Likewise, I am hoping that the OER-based platform will encourage students to form questions based on their experiences, both inside and outside of the classroom. Mary Jean McNamara is a second-year doctoral student in Classics. Her interests include early Greek citizenship, political organization in archaic Greece, and the reception of Athenian democracy. 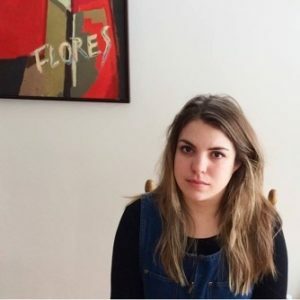 She is currently teaching a course at Brooklyn College entitled “Tyranny, Democracy, and Empire” and is grateful for the opportunity to learn about new ways of connecting students with the study of ancient Greek political theory. In Winter 2019, the Graduate Center Library accepted 14 applicants for the Open Pedagogy Fellowship. The primary component of the Fellowship was an Open Educational Resources (OER) Bootcamp, structured as an intensive learning experience, with invited speakers and presentations by library faculty. Participants entered the program with varying levels of experience in open resources, and were encouraged to think broadly about potential ways to interweave the conceptual framework of “open” into their teaching materials and pedagogy. On this site, you will find a continuation of that work, and updates by the participating Fellows. This entry was posted in Uncategorized on February 21, 2019 by Elvis Bakaitis.